Looking for a business opportunity, the Bottom Line for business is more favorable in Canada. As a foreign entrepreneur have you thought about setting up a business in Canada? 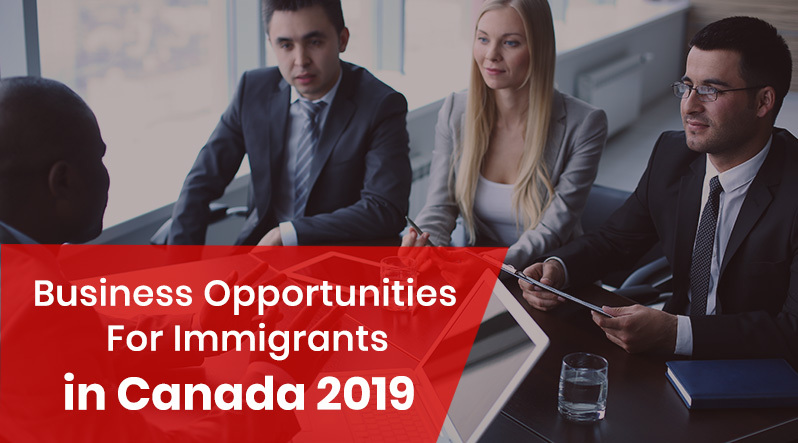 Canada is open to business and embraces foreign investment and business immigrants. There are many government programs and incentives designed to help relocate foreign businesses to Canada and also to set up new ones. Why is Canada such a good country to do business in? Entrepreneurship is encouraged by the Canadian government. 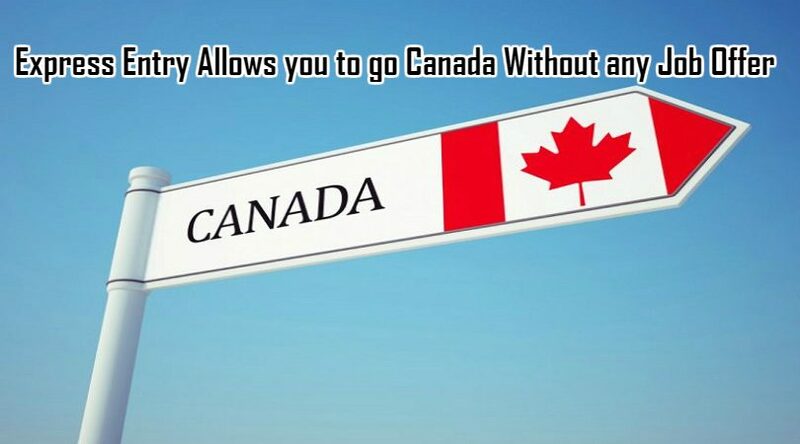 Operating a business in Canada is more profitable for you than operating your business in the United States, and due to the NAFTA agreement, you’ll still maintain unfettered access to the whole North American market. Canada’s business costs are the lowest in 11 countries in North America, Europe, and Asia-Pacific, and roughly 9% lower than the USA after taxes depending on the industrial sector. An important reason for this is the lower high-quality, skilled labor force costs in Canada; total labor costs, factoring in wages and salaries, statutory benefits, and other benefits, are lowest in Canada. In the United States, benefit costs constitute 32 percent of the total salary, whereas in Canada these costs are only 29 percent. And the cost of wages is incidentally also lower in Canada than in the US. Production costs happen to be lower too in Canada. The cost of electricity, for example, is 22 percent lower than the cost of electricity in the USA (based on annual electricity costs for the average manufacturer), and Canadian land and building costs are 8 percent lower. And Canada not only boasts a world-class technology infrastructure but also has the lowest business telephone and wireless charges of all the countries analyzed in the study. Probably one of the best reasons to consider running a business in Canada, though, is that Canada nurtures entrepreneurship and welcomes business investment. When it comes to a country as bountiful as Canada, it’s impossible to single out any one reason to invest in one of the most vigorous economies in the world. Canada boasts numerous advantages and unsurpassed potential a place where businesses can achieve excellence on a worldwide scale. In a knowledge economy, a country’s most valuable asset is a smart workforce and Canada is rich in human resources talent. Canada has the best educational system in the G7 and subsequently the most highly-educated population in the OECD. 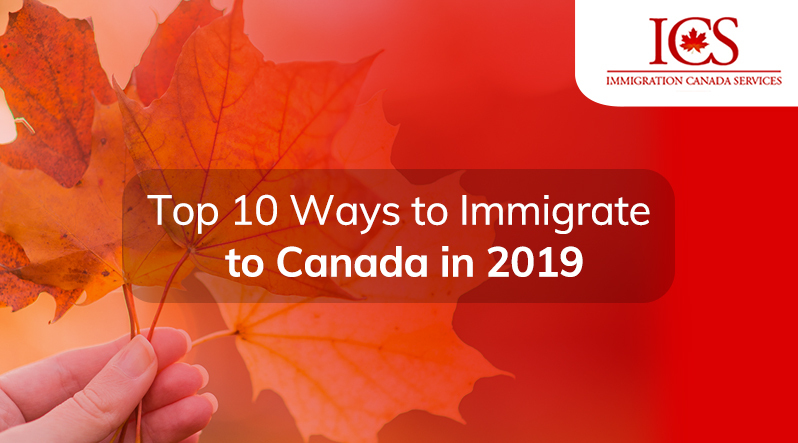 In addition, Canada also attracts the best and brightest from every corner of the globe, due to its business-friendly immigration policies that select highly qualified candidates. Number 1 in the OECD in higher education achievement—More than half of Canadians between the ages of 25 to 35 have a post-secondary education, either at university, college or technical school. 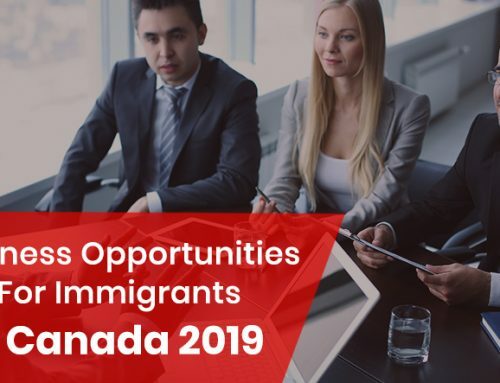 Over 42% of all immigrants have completed university and 16% have a trade certificate or non-university diploma—In addition to existing high levels of education, almost 90% of immigrants continue to pursue education or training courses upon their arrival in Canada. One of the world’s top performers – In business education, Canadian schools excel by any yardstick. The IMD ranks Canada first in the G7 for its management schools. In Business Week magazine’s 2008 MBA survey, three Canadian business schools finished among the top 10 outside the United States: Queen’s (first), Western Ontario (fourth), and Toronto (eighth). And according to the Financial Times’ Global MBA rankings for 2009, five Canadian management schools rank among the top 100 worldwide. Superior Education – The World Economic Forum also placed Canada in the top 10 in a 125-country study of management education available locally in first-class business schools. Qualified Engineers – Availability of qualified engineers is greater in Canada than any other G7. Source: IMD World Competitiveness Yearbook, 2009. The Economic Intelligence Unit has rated Canada the #1 place to do business in the G7 for the next five years. Canada appreciates the importance of its business community and has created an environment to foster entrepreneurial success. Name an international study and, odds are, Canada ranks as the top choice for its numerous competitive advantages. Canada leads all G7 countries in ease of doing business, according to the 2009 IMD World Competitiveness Yearbook. Also, the Economic Intelligence Unit forecasts Canada as the #1 place to do business in the G7 for the next five years. U.S: Canada is America’s largest trading partner. Europe: European markets provide numerous trade opportunities for Canada. Some of the most important exports to the European Union are chemicals, machinery, transport equipment, computer electronics products, and minerals. Asia: A maritime nation, Canada enjoys exceptional access to Asia-Pacific markets. With its advantageous geographical location, strong immigration links and membership in APEC that diminishes trade barriers, Canada is well- positioned to capitalize on the long-term growth potential of Asian economies. To maximize its strategic access and boost its competitive position, Canada has invested over $1billion into the Asia-Pacific Gateway and Corridor Initiative to support stronger infrastructure links among Canada, NAFTA, and Asia-Pacific markets. Canada is globally renowned for its beauty and abundance of natural resources, but it is increasingly recognized for its brainpower. Canada has invested billions of dollars over the last decade to create a robust research and development (R&D) climate that is second to none. Canada ranks second behind the U.S. among the G7 and fourth in a 134-country review of the quality of scientific research undertaken in government and university laboratories. The Canadian Foundation for Innovation funds technology clusters across the country in fields ranging from pharmaceuticals to fuel cells to information and communications technologies. 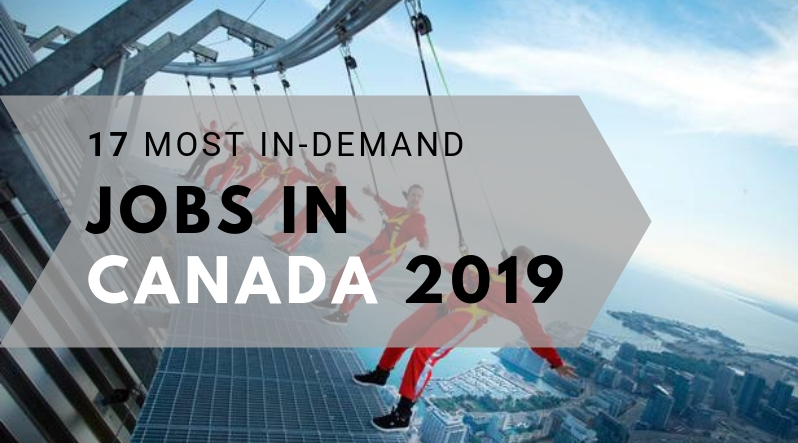 Canada ranks fourth in a 66-country review of the countries best suited to provide an optimally competitive environment for information technology (IT) firms. The U.S. and Canadian telecommunications and automobile industries are virtually integrated across the Canada-U.S. border. Cutting-edge American producers recognize Canadian leadership in industries such as fiber optics, aerospace, and bio pharmaceuticals. Canada is better placed than many countries to weather the global financial turbulence and worldwide recession. Take Canada’s prudent fiscal policy, low inflation, interest and unemployment rates, and a corporate tax framework that is among the most competitive in the world. Consider also Canada’s status as an emerging energy superpower, the only stable and growing producer of this scarce commodity. Add to that the country’s strategic investments in technology, education, and healthcare. The result is optimal conditions for businesses to expand and prosper. According to Dun & Bradstreet’s Global Risk Indicator, Canada is considered one of the world’s safest countries to invest, due to the relatively mild slowdown experienced as a result of the global credit crisis. In addition, the Canadian Business’ Prosperity Potential Index (October 2009) ranks Canada first in the G7 for the likelihood of a strong and healthy economy in the year 2020. AAA credit rating: In response to Canada’s improved fiscal balance sheet and excellent long-term growth prospects, the country has enjoyed a AAA international credit rating (the highest rating) from Moody’s Investors Services since 2002. In the mid-1990s, Canada’s total net debt-to-GDP ratio was the second highest in the G7. Today, it is the lowest. The Economic Intelligence Unit projects Canada’s inflation rate of 2.1% to remain the same for the next five years, compared to 3.2% for the U.S.
Canadian financial institutions remain sturdy, even though the global crisis may be aggravating. For the second year in a row, the World Economic Forum’s Global Competitiveness Report has found that Canada has the soundest banking system in the world. Canada’s well-regulated financial institutions, banks, trust companies, cooperatives, insurance companies, and stock exchanges, have demonstrated stability and competitiveness that has rendered their services popular around the world. The financial sector has become one of Canada’s major export earners since the worldwide liberalization of financial regulations. Canada’s other financial institutions are equally impressive, offering investment opportunities that are both lucrative and secure. Canada’s Export Development Corporation (EDC) provides trade finance and risk management services to Canadian exporters and foreign investors. The World Trade Magazine has ranked Canada in the Top 3 for Investment and Trade Opportunities, and with good reason. Canada offers businesses low tax rates. Today, Canada has the lowest payroll taxes among the G7 countries and by 2012 Canada’s corporate income tax rate will fall from 18 percent in 2010 to 15 percent in 2012 – less than half of the U.S. rate. Canada’s combined federal and provincial-territorial statutory corporate tax rate decline from 31.3% in 2009 to 30.8% in 2010. It is on track to drop to 27.2% by 2012. By 2012, Canada will also have a statutory corporate tax rate advantage over the United States of almost 12 percentage points. Canada ‘s NAFTA advantage gives investors access to more than 443 million consumers and a combined GDP of more than US$15.4 trillion. Want access to more than 443 million consumers and a combined GDP of more than US$17.0 trillion? Look no further than Canada. by far. Two-way goods-and-services trade between Canada and the United States amounted to $740 billion dollars in 2008 or nearly $1.4 million a minute in trade. Many Canadian production hubs are actually closer to target U.S. markets than American production sites. Of Canada’s 20 largest cities, 17 are within an hour and a half drive of the United States and many are much closer. Several, such as Vancouver, Windsor, and Montréal, are only minutes away. Production locations in Quebec and the industrial heartland of southwestern Ontario are often closer to the huge American markets around New York, Boston, and Chicago than popular American production hubs like Atlanta, GA, and Raleigh, NC. Fast and efficient trucking, railways, ocean shipping, and air services link the two countries. To accommodate the explosive growth in trade and commerce, Canada and the United States have signed a pact to work together to create a Smart Border. The Declaration outlined a 30-Point Action Plan, which provides for ongoing collaboration in identifying and addressing security risks, while efficiently expediting the legitimate flow of people and goods across the Canada-US border. The North American Free Trade Agreement (NAFTA) gives you unparalleled access to the entire continent and entrée to Latin America. Following the success of the 1988 Canada-U.S. Free Trade Agreement, in 1994 the original trading partnership expanded to include Mexico creating the largest free trade area in the world. Products traded with the United States and Mexico fall under the terms of NAFTA and most tariffs were eliminated in 2004. NAFTA revealed the true potential for Canada-Mexico-US trade and ushered in a new era of economic integration. Canada and the US remain each other’s largest trading partners. Mexico is currently Canada’s fourth largest export market, while Canada is Mexico’s second largest. Take advantage of Canada’s strategic location as the crossroads between the North American marketplace and the booming economies of Asia. The Asia-Pacific Gateway and Corridor Initiative (APGCI) is an unprecedented association of public and private sector resources to take advantage of Canada’s strategic location at the crossroads between the North American marketplace and the booming economies of Asia. This initiative is responding to the huge volume in cargo traffic that is expected to increase constantly with Asia-Pacific countries and China in particular. The significant resources invested in the Gateway and Corridor are enhancing Canada’s competitiveness. Specifically, improvements in British Columbia ports and related railroad infrastructure have alleviated bottlenecks and helped to swiftly move merchandise to inland and multi modal transportation hubs. Private sector investment in the gateway and corridor has been an integral component of its success. Investors are participating in projects ranging from bridge construction to terminal infrastructure at Canada’s western ports. These investments complement the federal government’s contribution of over $860 million in infrastructure projects worth $2.3 billion located in all four western provinces. The APGCI provides potential investors with a substantial competitive advantage. In addition, logistical advantages make Canada even more attractive as an investment target. Bound by three oceans, traversing six time zones and covering 9,970,610 square km (3,849,650 square miles), Canada is the second largest country on earth. But distance isn’t a deterrent for businesses operating in Canada, thanks to its sophisticated infrastructure and highly developed transportation network. Airports—Canada has 26 airports as part of the national airport’s system, 594 certified airports that support scheduled and non-scheduled flights, and 1,820 aerodromes that support takeoffs and landings. Toronto is the busiest airport in the country, serving as an east-west hub and handling roughly half of all passenger traffic. Canadian airports processed more than 71.5 million passengers in 2007. Ports More than 300 commercial ports and harbors move local and global goods in Canada. The Atlantic, Arctic and Pacific oceans surround Canada’s three coasts. Canada is also home to the world’s longest inland waterway open to shipping the Great Lakes/St. Lawrence Seaway the industrial heart of North America. Major international ports include Halifax, Montréal and Vancouver. Western Canadian ports offer the shortest sailing distance from North America to the Asia-Pacific region, providing a sailing-time advantage of approximately two days over all other locations in the Western Hemisphere. Rail Canadian railways handle 355 million metric tonnes of freight annually, much of it moving between Canada and its NAFTA partners. The two major carriers in Canada, Canadian Pacific Railway and Canadian National Railways, cover a combined 53,000 kilometers (33,000 miles) from Vancouver to Halifax, Montreal to New Orleans and Calgary to Houston. Roads with nearly 900,000 kilometers of road, Canada has enough transportation infrastructure to circle the Earth 22 times. The Trans Canada Highway, the longest national highway in the world, links all 10 provinces and is fully integrated with the US road network, including 18 major border crossings. To accommodate the phenomenal growth in free trade between Canada and the US, the two countries have developed a shared Action Plan for Creating a Secure and Smart Border to speed up the movement of legitimate travelers and trade. FAST lanes for pre-approved low-risk commercial traffic opened at Windsor-Detroit, Sarnia-Port Huron, and Fort Erie-Buffalo. Automated permit ports, transponder identification systems, and joint processing centers are being tested and deployed. Today, border wait times average less than 10 minutes, one of the most efficient systems in the world. World-class universities, a universally acclaimed health care system, clean, friendly cities, and spectacular scenery make Canada a great place to invest, work, live and raise a family. Canada is one of the best countries in the world to live, learn and work. From wide-open spaces to the most cosmopolitan cities, Canada offers beauty, variety, a clean environment and an enviable quality of life. 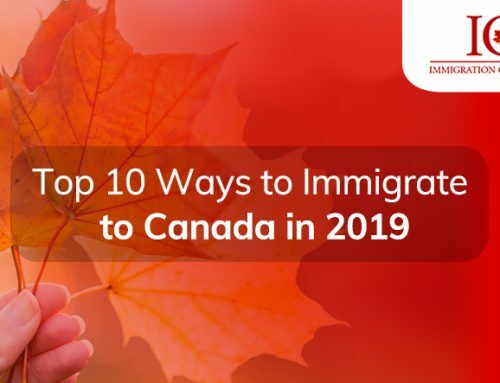 Canada is a place where people can achieve their dreams, where families can enjoy an unparalleled standard of living, and where businesses enjoy a competitive edge. Canadians are hard-working, ambitious people who take pride in their prosperous, peaceful country. They want better lives for themselves, their children and future generations. They believe in tolerance, justice and lending a helping hand to the less fortunate. More than empty promises, equality is enshrined in Canada’s Charter of Rights and Freedoms and the country’s Constitution, guaranteeing freedom and fairness for all. Canada is a large country in both size and spirit. Canada is at the top among the G7 countries in providing equal opportunities for individuals, whether native-born or a new arrival. 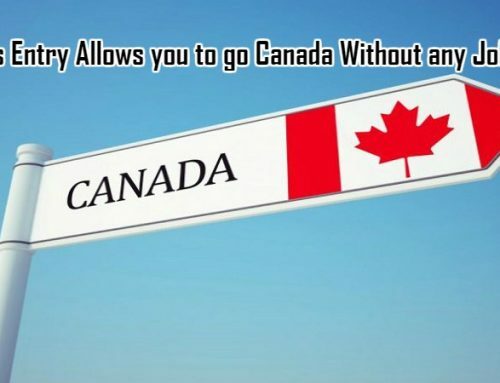 Canadians welcome immigrants from all over the world. Almost all of the world’s ethnic groups are represented in Canada, creating one of the world’s most culturally diverse and multilingual societies, with over 200 languages spoken. Canada is also a world leader in integrating newcomers, with progressive immigration laws highly conducive to hiring foreign workers. Best overall quality of life Canada has the best overall quality of life among the G7. In a 2009 quality-of-life ranking of 215 world cities by Mercer Human Resources Consulting, four Canadian cities ranked among the top 25. A land of equal opportunity Canada ranks first among the G7 in providing equal opportunities for individuals. Best in addressing environmental concerns as measured by the Environmental Performance Index (EPI), Canada’s ranks 2nd in the G7 and 12th in a 149-country study in terms of effectively reducing environmental stresses on human health and promoting ecosystem vitality and sound natural resource management. The safest place to live Canada leads the G7 in terms of the safest place to live and conduct business with the most fairly administered judicial system. Optimal human development According to the United Nations 2009 Human Development Index, Canada ranked first among the G7 and fourth among the 180 countries surveyed. Canada excels in numerous sectors, as varied as our vast country. 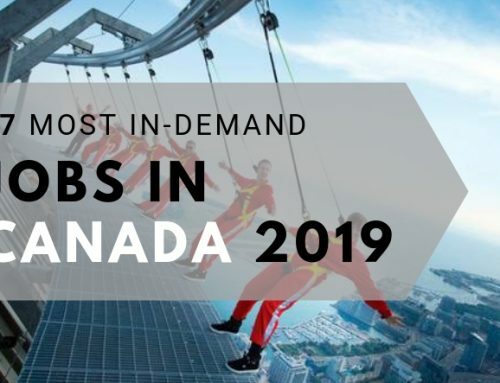 As one of the world’s most competitive investment locations with regional clusters of industrial excellence and indispensable connections to global value chains Canada offers clear advantages for the sophisticated investor seeking fresh opportunities. Canada has created a unique business environment that allows companies to grow on the world stage. To attract the best talent, Canada has focused its policies, business incentives and university support around key industries. 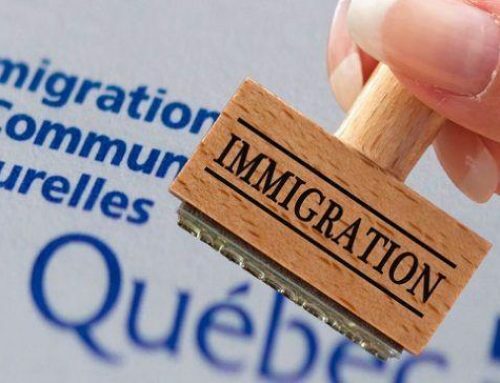 As Canadian immigration specialists, ICS is committed to ensuring that you obtain the best Canadian visa or immigration service for your requirements. You can set your application in motion today by submitting our Initial Consultation Form to schedule your consultation with one of our immigration attorneys. After we assess your qualifications, you will be informed if you qualify. If you would qualify to apply for a permanent resident visa as a Business Immigrant, we open your file and proceed with the processing of your application for a permanent resident visa. Please note that ICS will not share your personal information with any other third party, any information submitted to us will only be used to assess your visa eligibility. How to look for a job in Canada? Why you should hire broker if you want to sale your business in Canada?